six × = 12 Required Please enter the correct value. 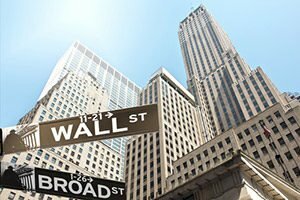 The Dow Jones today was down slightly in pre-market trading after the European Central Bank announced it will keep interest rates unchanged for the foreseeable future. The ECB cited weak economic activity around the Eurozone as justification for its decision. On Thursday, tensions between China and the United States hit another level. Chinese officials have blocked Microsoft Corp.'s (NASDAQ: MSFT) search engine, Bing. Microsoft was running the last U.S. search engine in the country after Google pulled out in 2010. Bing represented just 2% of the market, and Microsoft had agreed to censor search results. The shutdown of Bing comes at a time that the United States and China are in a major trade dispute with technology at the heart of the disagreement. Geopolitical tensions around the globe continue to mount. Between Brexit, China's economic uncertainty, nations drowning in debt, and the U.S. government shutdown, there isn't a lot of optimism right now. Now, the rhetoric between the United States and Venezuela is hitting a boil. This week, U.S. Vice President Mike Pence issued words of support to citizens of Venezuela, and the U.S. government has called Dictator Nicholas Maduro's presidency illegitimate. The United States now recognizes Maduro's opponent and head of the nation's opposition-controlled legislature, Juan Guaido, as the nation's interim leader. The U.S. joins Canada, Brazil, Colombia, and several other South American nations in support of Guaido. Maduro responded by cutting diplomatic ties with the United States and ordering American diplomats to leave the country within 72 hours. A potential civil war is brewing, and the economy – gripped in hyperinflation – is on the verge of total collapse. The European Central Bank did not alter its interest rate level this morning. The ECB said it will likely maintain interest rates at the current level through the summer as ongoing economic weakness weighs on global sentiment. The central bank is trying to navigate difficult terrain. Its massive stimulus program has wound down at a time that economic growth is stagnating and concerns about its financial system are again picking up. Do you want to know how the "Smart Money" gets rich and stays rich? They do so by using wealth tactics that maximize their investment income potential and ensure decades of wealth that can span generations. And these secrets have been locked up since the end of World War II. Well, Money Morning Special Situation Strategist Tim Melvin has broken these secrets out of the vault of the Smart Money managers. And he's sharing the Max Wealth secrets for free right here. Shares of Southwest Airlines Co. (NYSE: LUV) popped more than 5% after the airline topped Wall Street earnings estimates before the bell Thursday. The firm reported earnings per share of $1.17, beating consensus expectations by $0.11. Revenue of $5.7 billion also beat analysts' expectations. Still, both figures represented a year-over-year decline for the fourth quarter, and global economic concerns are likely to weigh on travel companies as the year progresses. Starbucks Corp. (NASDAQ: SBUX) will report earnings after the bell Thursday. The coffee chain is projected to report earnings per share of $0.64 on top of $6.49 billion in revenue. Analysts will be looking forward to a conference call this afternoon. During the conversation, company leaders will likely update attendees on the firm's global growth plans and discuss its positioning in China. Shares of Ford Motor Co. (NYSE: F) were up in pre-market hours after the firm reported a surprise loss in the fourth quarter. Despite starting 2019 with a "clear vision," the stock lost $0.03 per share and said it took a $900 million non-cash hit due to pension costs. Revenue increased by 1% year over year thanks to an "improved mix and higher net pricing." Look for other earnings reports from Alaska Air Group Inc. (NYSE: ALK), Bristol-Myers Squibb Co. (NYSE: BMY), Discover Financial Services (NYSE: DFS), E*TRADE Financial Corp. (NASDAQ: ETFC), Freeport-McMoRan Inc. (NYSE: FCX), Huntington Bancshares Inc. (NASDAQ: HBAN), Intuitive Surgical Inc. (NASDAQ: ISRG), JetBlue Airways Corp. (NASDAQ: JBLU), McCormick & Co. (NYSE: MKC), Norfolk Southern Corp. (NYSE: NSC), Rogers Communications Inc. (NYSE: RCI), Union Pacific Corp. (NYSE: UNP), W.W. Grainger Inc. (NYSE: GWW), Intel Corp. (NASDAQ: INTC), and Western Digital Corp. (NYSE: WDC). Millions of Americans Now Entitled to Collect "Federal Rent Checks"
Forty-six years ago, Congress passed an obscure piece of legislation known as Public Law 92-313. And today, it's why the Treasury is sitting on top of an $11.1 billion pile of money. And they're racing to add their names to a special distribution list.